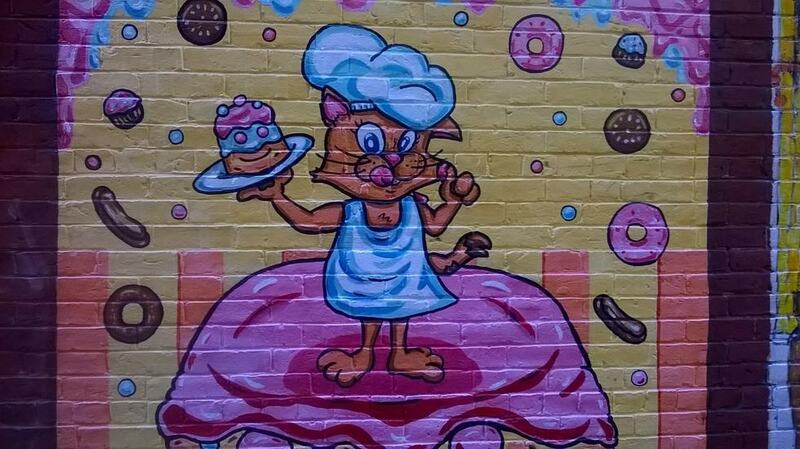 MUST SEE: There's an Alley in New Hampshire That's Full of Cat Street Art! 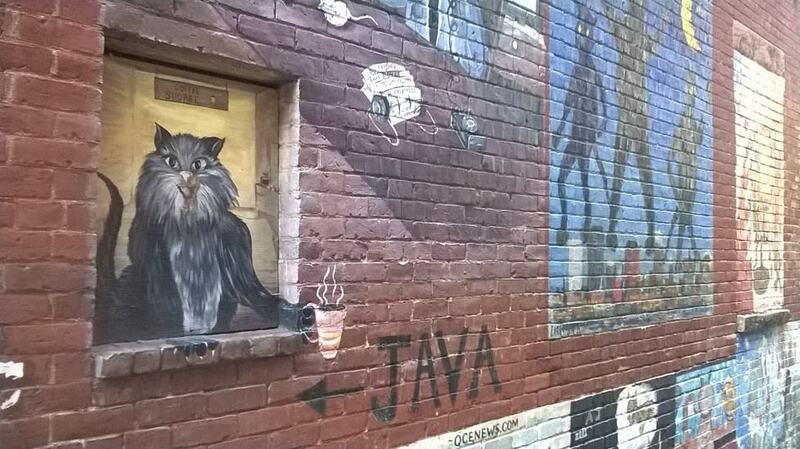 MUST SEE: There’s an Alley in New Hampshire That’s Full of Cat Street Art! 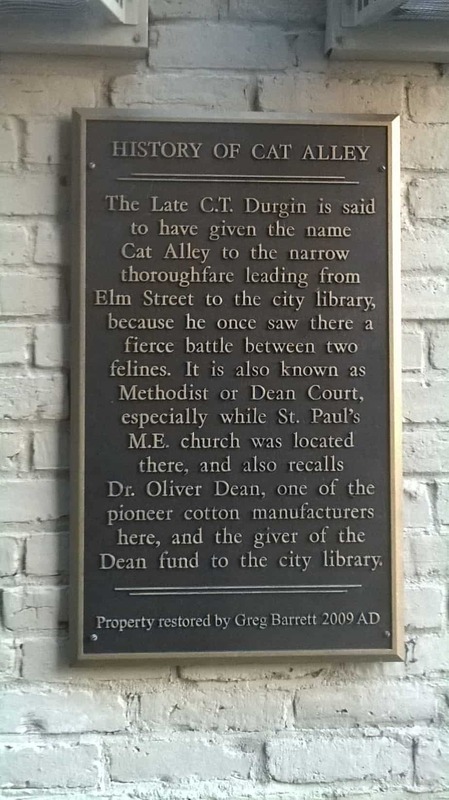 If you happen to find yourself wandering around Manchester, New Hampshire with some time to kill, you’ve got to check out Cat Alley! 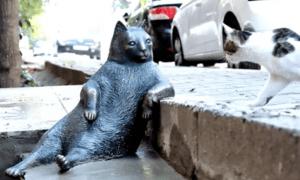 Previously known as “Dean Court,” the little side street leading to the public library in Manchester is an open-air gallery for kitty-themed street art. 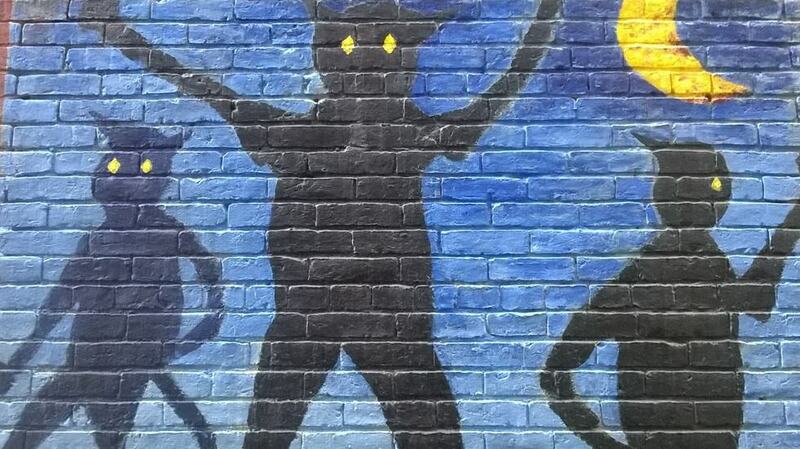 Cat Alley didn’t become a street art gallery until a local realtor took an interest in the little street and started a campaign to revitalize it. He raised some money, started working with artists, and got permission to decorate the alley with cats (and got that plaque installed). Interestingly, most of the artists are young graffiti artists, brought in to teach them to respect property and feel pride in their work instead of defacing property – giving them positive ways to channel their creativity. 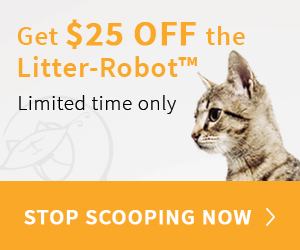 Have you ever been to Cat Alley in New Hampshire? Tell us! 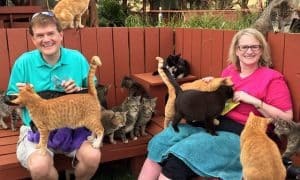 Call Your Travel Agent: You Can Cuddle 500 Cats at a Time in Hawaii! 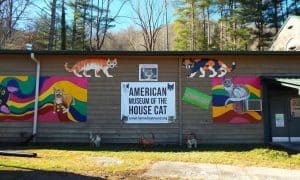 Call Your Travel Agent – There’s a New House Cat Museum in North Carolina!